The executive MBA (EMBA) is no longer a corporate-only degree. 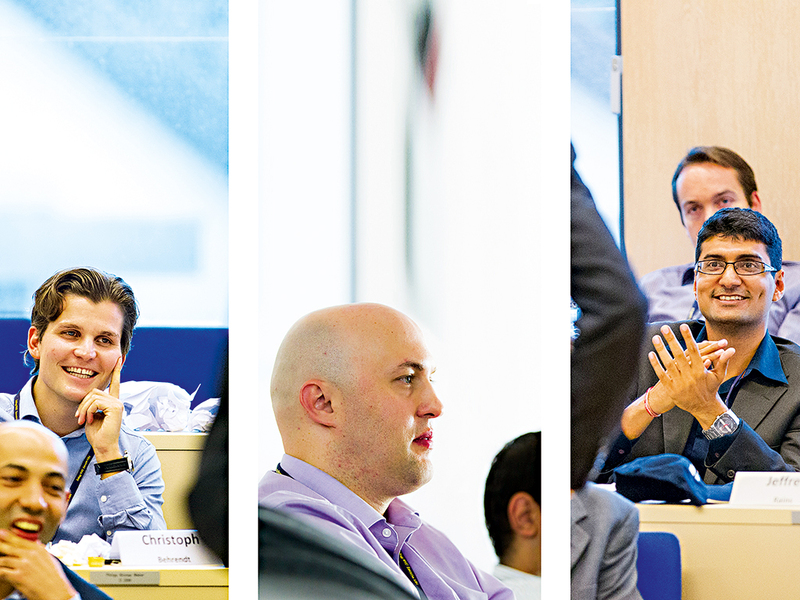 In the past few years, the EMBA has opened its doors to career changers and entrepreneurs. Some EMBA students are already entrepreneurs or know that they want to start their own business at the beginning of the EMBA programme. For those individuals, the course is a way to acquire the necessary skills to run their venture or to expand their network. Others don’t necessarily join the programme looking to become entrepreneurs; they get the spark through exposure to entrepreneurship courses and activities, and particularly through interacting with diverse and like-minded classmates. The Kellogg-WHU EMBA programme, located in Germany, understands these new trends. To better cater to this entrepreneurial niche, the joint EMBA programme between the Kellogg School of Management at Northwestern University and WHU Otto Beisheim School of Management has increased its entrepreneurship offerings for EMBA students. A team of fresh graduates from the Kellogg-WHU EMBA course, Christoph Behrendt, Jürgen Thom and Madhukar Manpuria (above), perfectly embody the entrepreneurial spirit that has infiltrated the programme in recent years. A couple of months after they graduated, Madhukar, Jürgen and Christoph launched their own start-up, MyNewCar.in, an online platform for selling new cars, related accessories and services in India. “Before joining the Kellogg-WHU EMBA programme, I had already been thinking of a couple of business ideas related to my industry, but I was still waiting for the right time and people. The EMBA programme gave me the confidence, the right team and the knowledge to move forward with my project. The window of opportunity was wide open”, says Madhukar. “I am a very innovative person and I always enjoyed bringing new business ideas to life. I was, however, lacking some of the business tools. My background was a bit unusual; I studied filmmaking at one point, and then marketing. So I always felt the need to gain knowledge of economics and finance. The EMBA was extremely helpful in filling those gaps”, adds Jürgen. The Kellogg-WHU EMBA programme provides entrepreneurship resources such as an extensive course portfolio, opportunities to participate in on-campus conferences, entrepreneurship incubators, and the chance to use the required thesis as a thorough business plan. “We all used the opportunities we were presented with during our EMBA. We took all the entrepreneurship courses available, we participated in the IdeaLab! conference, we presented our new business to fellow students and investors. We also used the programme to expand our network and get feedback from peers, professors, and the entire Kellogg EMBA Global Network about our business ideas”, says Jürgen. One of the most powerful tools that the programme offers is the impressive alumni network of both schools. “We’re not only using our immediate network, but also our extensive network. Both the Kellogg and WHU global networks have been extremely helpful for us to find staff and financial investors who share our vision. We’ve been able to connect with some very well-known investors”, says Madhukar. Whatever the motivation or background, the EMBA has become not only a great place for igniting the entrepreneurial spark, but also for materialising ideas and connecting with brilliant people. “For the three of us, the EMBA was a life-changing experience. You not only start something new, you develop a unique spirit with your peers. If you’ve always thought about starting something on your own, the EMBA is the perfect place to fully understand yourself and your aspirations, and to develop your entrepreneurial spirit”, concludes Christoph.